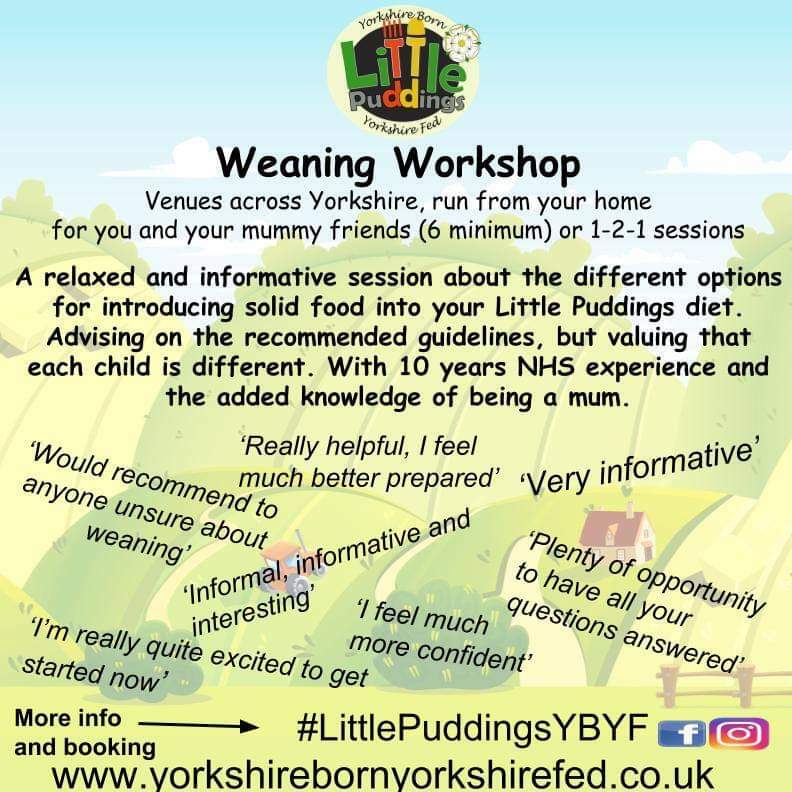 Yorkshire Born Yorkshire Fed run Informal and informative session about introducing solid food into your little ones diet. Ideal for parents of babies aged 3-6 month. We keep the groups small, and encourage questions. The aim of the session is that you leave feeling confident about the next step with your Little Pudding. With 10 years experience working in health and well being and now the added knowledge of been a mum, Sophie talks about recommendations and the reasons behind them but values that every baby is different! £20 per person, partners 1/2 price. Due to demand for these sessions, please make prompt payment, places can only be reserved with payment.